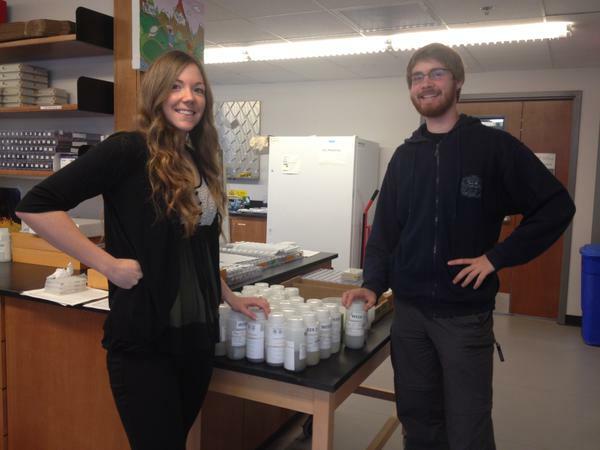 School Malaise Trap Program Samples are Starting to Arrive at BIO! 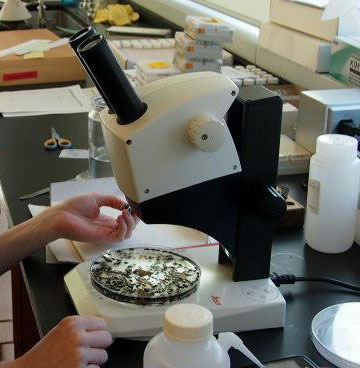 Nearly all of your samples have arrived at BIO and our Collections Team is hard at work sorting through the thousands of arthropods found in your sample bottles! Hello #bioSMTP participants (past and present)! We explore the quality of DNA barcodes to delimit species in the diverse chironomid genus Tanytarsus (Diptera: Chironomidae) by using different analytical tools. The genus Tanytarsus is the most species-rich taxon of tribe Tanytarsini (Diptera: Chironomidae) with more than 400 species worldwide, some of which can be notoriously difficult to identify to species-level using morphology. Our dataset, based on sequences generated from own material and publicly available data in BOLD, consist of 2790 DNA barcodes with a fragment length of at least 500 base pairs. A neighbor joining tree of this dataset comprises 131 well separated clusters representing 121 morphological species of Tanytarsus: 77 named, 16 unnamed and 28 unidentified theoretical species. 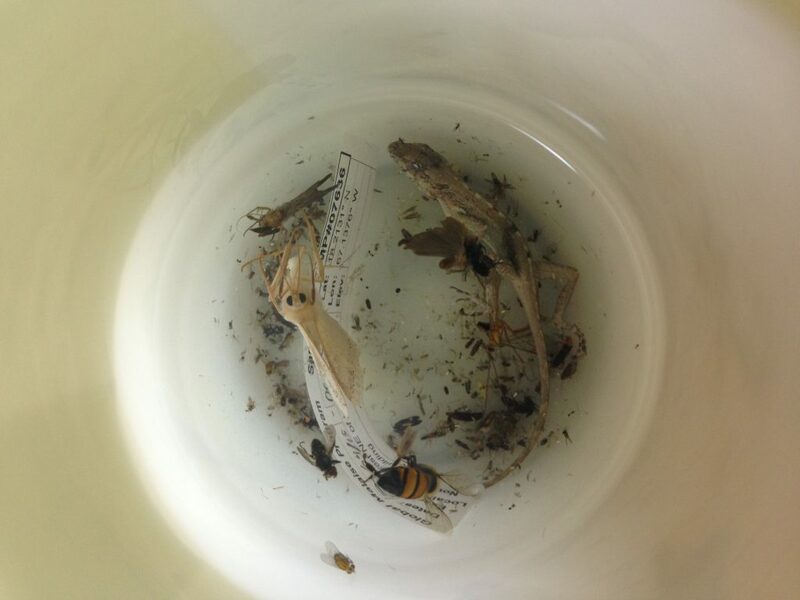 Chironomids are notoriously common in Malaise trap collections. 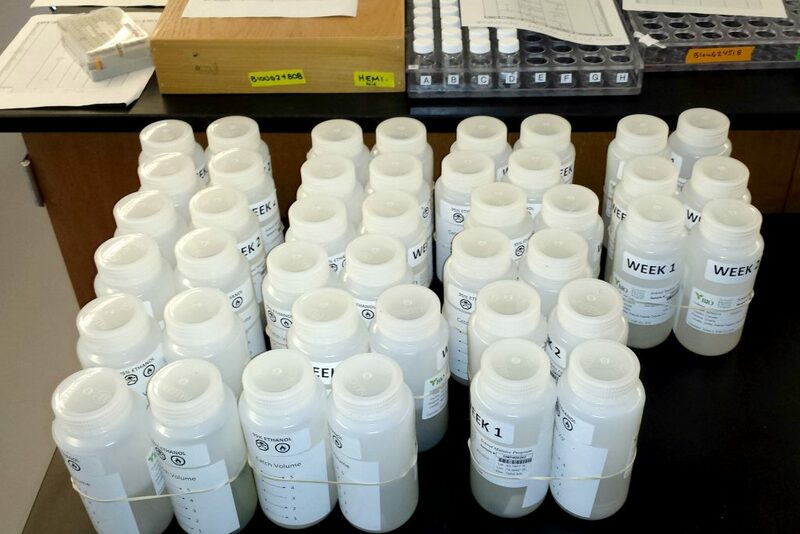 It comes to no surprise that a global search for data records will reveal some school samples. However, to my knowledge this is the first time such a result makes it into a research paper. 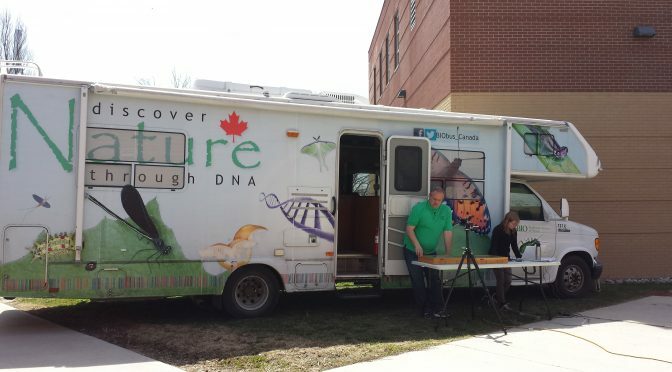 In total the study includes 47 samples from Canadian schools. And here we go – congratulations to the following schools. Your data have just made it into PLoS ONE. Reminder: Report Collection Volume Tomorrow! 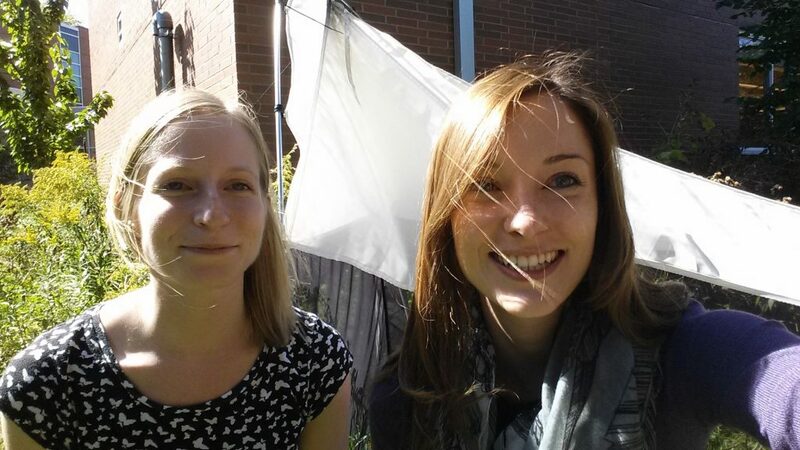 We hope everyone is having a good first week of insect collecting! This email is a reminder to remove the collection bottle from Week 1 from the trap by the end of tomorrow (Sept. 25). Be sure to secure the cap back onto to the bottle and store it out of direct sunlight (cool, dark, secure place). Remember to install the bottle for Week 2 on Monday, Sept. 28th (no collecting will take place over the weekend). ALSO! – At some point tomorrow, don’t forgot to let us know how your collection is coming along. Refer to the tick lines marked along the side of the bottle to give us an estimate as to how many insects you have collected so far as well as how the weather has/will be for your area. If the insects fall below the first tick line, please try to do a rough count of the specimens if possible. Please feel free to blog about your collection volume in order to share your findings with students from across Canada. You may also tweet/blog pictures of your collection bottle @SMTP_Canada. Comments are enabled on our blog so that you will be able to respond to other school’s posts! Great work so far & happy collecting! 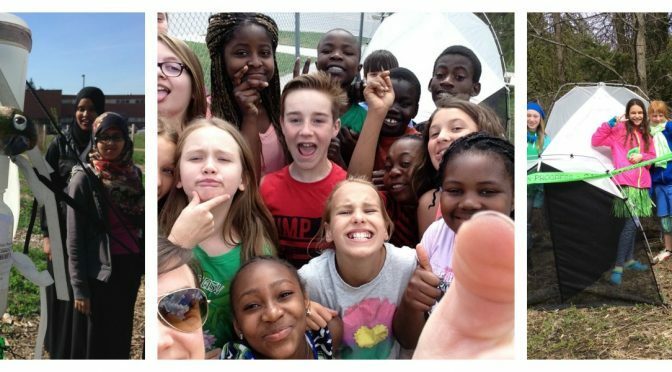 Announcing the Spring 2015 #SMTPselfie Winners! We are pleased to announce the winners of our #SMTPselfie contest! Thank you to all who entered, we had some great pictures this program! 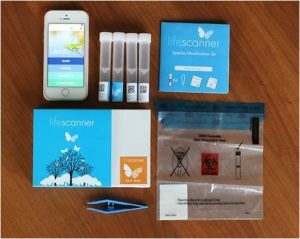 The winners for the #SMTPselfie contest will receive a Life Scanner Kit which will essentially allow them to DNA barcode 4 organisms of their choice and find out what species they are! Currently these kits are being offered for free + shipping online at the above mentioned link, so be sure to sign your class up for one! Congratulations to the winners, and a big thank you to all who participated! The Life Scanner Kits have been mailed and are on their way to you! Pictures from Mayaguez, Puerto Rico! 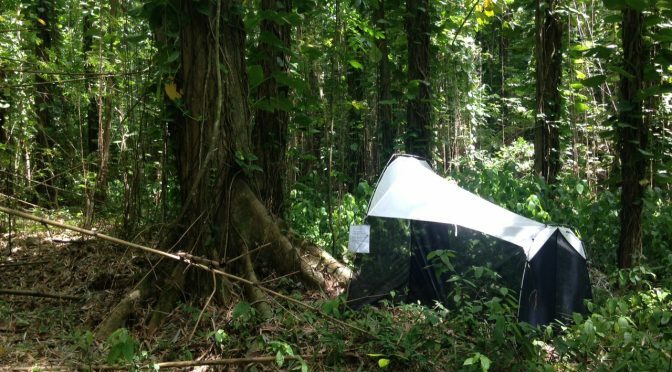 We thought you may be interested in seeing a few pictures of one of the Malaise traps participating in BIO’s Global Malaise Trap Program. 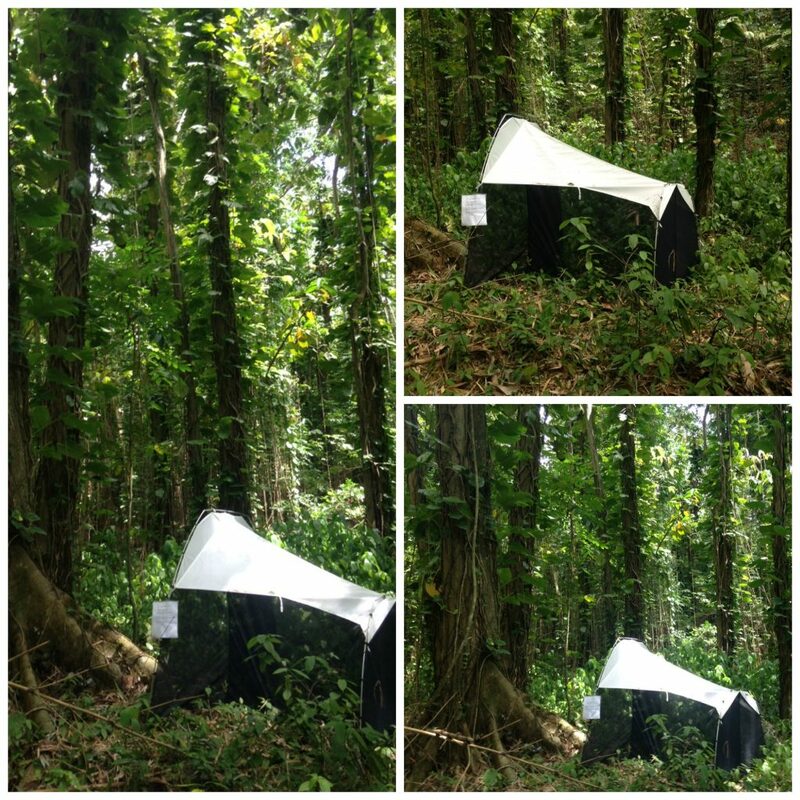 The following pictures are of a Malaise trap deployed in Mayaguez, Puerto Rico. This trap was deployed around the same time that you were collecting in your schoolyards. 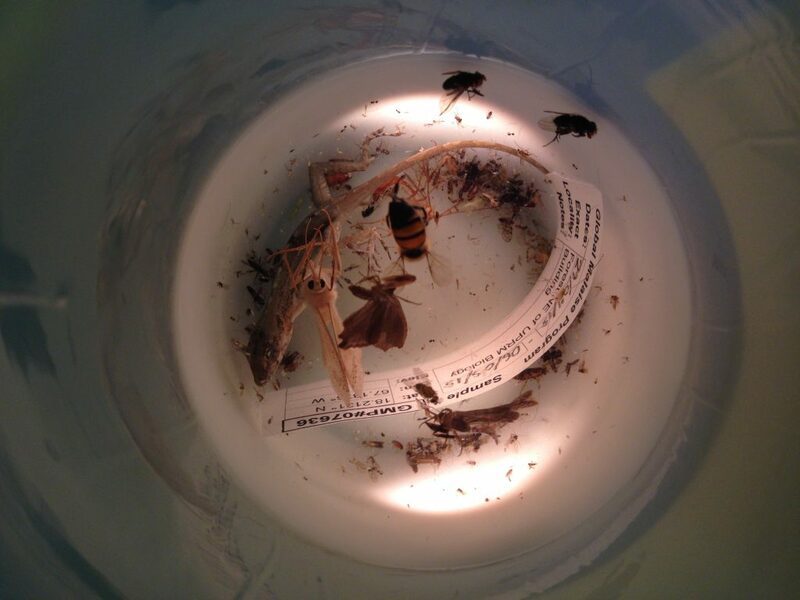 If you look closely, you can certainly see that the samples collected in this trap are very different from the ones collected in your traps. Attn. Teachers! Trapping will be extended by one week (till May 8th)! 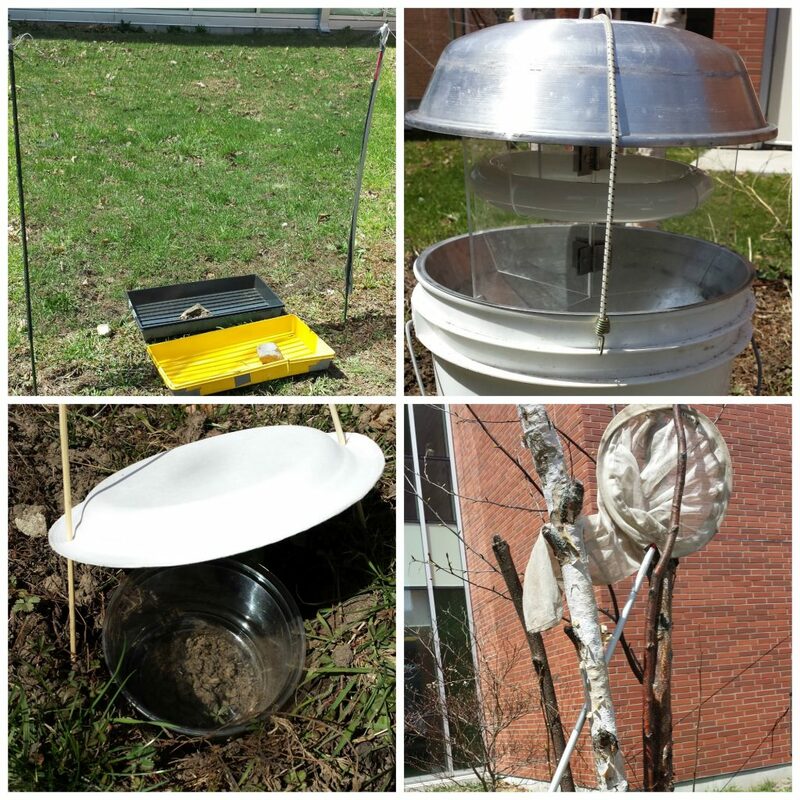 Based on the collection reports, weather data/feedback that we have received from you over the past few days, the School Malaise Trap Program Team has decided to extend trapping by one week. This means that trapping will now officially conclude by noon, Friday, May 8th. With this extension comes greater pressure on BIO to process your specimens before the end of the school year so that you may receive your results. We will do our very best, however will require your utmost cooperation on the shipping front. As you will only be trapping till noon on Friday, May 8th, we will require you to package your trap up and arrange for a FedEx pickup that day. Your package must be sent out during the afternoon of Friday, May 8th! As some participants are in quite rural locations, you will need to drop off your package for shipment at the same location which you picked it up. Once again, package send-out must take place on Friday, May 8th. Further shipping instructions will be forwarded to you shortly. Since most of you have collected very little over week one, we will be using the week 1 bottle to trap during the second week. 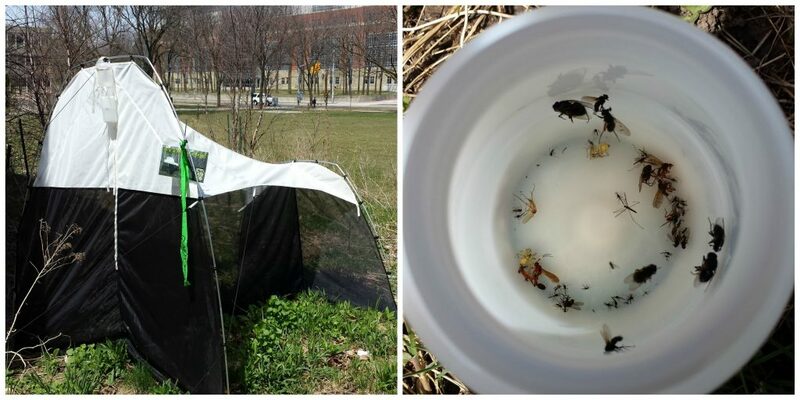 Come Monday morning (April 27th), please reattach the week 1 bottle to the Malaise trap and remove it at the end of the day Friday, May 1st. Monday morning, May 4th, please attach the week 2 bottle and remove it by noon on Friday, May 8th in order to ship your package back to BIO in a timely manner. Some of you have experienced some ethanol spillage from your week one bottle. As long as the ethanol is around the « 2 » level, you should be able to proceed with trapping. If your ethanol is lower than the « 2 » level, please bring it up to that level by pouring some ethanol from your week 2 bottle into the week 1 bottle. Please let us know if you have any questions or concerns regarding trapping extension. Furthermore, keep up the great blogging and twitter work. We are hoping that next week will bring warmer weather for all and we would like to hear how this affects collecting. I look forward to hearing your classroom’s thoughts about trap extension. Please keep us updated!